In the mid-19th century, as the city rapidly grew in area and population, many single New Yorkers faced difficult decisions on the housing market. 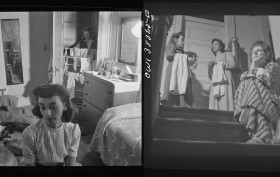 Unlike the majority of today’s single New Yorkers, however, the decision was not whether to share an apartment with one or more roommates or squeeze into a studio apartment but rather which type of boarding house to inhabit. Ahead we’ll go over the history of the New York City boarding house, as well as where you can still find the handful that remains.